After reading through Killer Mike's tweets in support of reparations for slavery the other day, I was reminded of my own observations on the subject from activists and scholars in and around the Black community. This happened in New York City around the early to mid 2000's, where I lived and worked in Harlem for several years while attending the School of Visual Arts (SVA). As the only non-Black employee -- and non-Black person there 99% of the time -- in the then Kev's Copy Center on Lenox Ave., I did graphic design and typing services with themes often reflecting elements of the local/Black American culture. This ranged from hip hop, jazz, local salons, Sylvia's Soul Food across the street, or just formatting in type what a customer wrote out on looseleaf paper. One such order was from someone who, according to customer service, went by the name of Chief Red Deer. I never saw him but believe he was working on a book. So I was handed a stack of papers with his handwriting in red ink entitled Mentalnomics. Reading the first page as I typed, I initially dismissed it as visceral and poorly written. My reaction likely came from a childhood attending mostly White, affluent suburban schools (though barely keeping up with the Joneses), having just stepped foot in the big city. This was the case with many of the typing jobs, given the rough quality of education in a low-income demographic. It soon became clear that Mentalnomics was Red Deer's take on reparations, and the effects of slavery. After making it through a few pages though, the message started to speak louder than the delivery. Red Deer emphasized how the psychological effects of slavery should be taken into account. He stressed how the social and emotional complexities are passed down in Black families, apart from any real world compensation. This was back in 2002 so I don't remember much more than that, but that I am writing about it today is evident of how it managed to reach me. Another customer who looked at least in his 40's, with a newsboy cap and the unassuming eyes of a child, was Henry "Mitch" Mitchell. He would always say hello when he walked in, take a seat and casually talk to me despite my awkwardness as an outsider there. He was an activist for the organization Reparations Now, which pushed for reparations in the form of financial aid for qualifying African Americans' education, among other things. One day Mitch asked me to do a side gig, because he wanted me to treat it as more than just work. He needed a flyer to present at an upcoming RN meeting, and leant me a book of an artist depicting slavery in pencil drawings (I wish I had remembered the artist's name). Mitch's friendly nature was enough for me to say yes, despite my crazy full-time student/work schedule. What I particularly remember from this book is the depiction of slaves shelved in ships like cargo, for the long trip across the Atlantic. If they weren't laying down and packed like sardines, they were chained by ankle, wrist, and neck, in a crouched position on their feet. I couldn't not convey this intensity in the flyer, so I felt compelled to put as much as I could into it. The flyer I designed for Mitch with his writing, from the early 2000's. Note: My career and the quality of my work have come a long way since. After handing it off to Mitch, he asked how much he owed me. He was right about it being more than just work, so I offered it to him for free as a token of support. His eyes lit up in disbelief: "Really?!!" It wasn't until weeks later, when I asked how RN liked the flyer that I got the real payoff. Mitch informed me about their meeting where he presented the flyer. He announced how a "half White, half Asiatic man" (my mom is a Japanese immigrant) volunteered to create it for free, to which "the whole room went silent." This could be interpreted in different ways, but I'd like to think it gave them a little hope that other people beyond their community cared. Native Africans in the area would also stop by the shop every now and then. You could tell because from head wrap to sandals, they were adorned with the colorful, prestigious attire of their culture. They also had lovely accents. It was here that I was informed of a tension between native African and Black Americans in Harlem, from both groups. I imagine it may have reflected apparent clashes in how they came off to each other, given the nurturing of their minority/majority statuses and histories in contrasting societies. Meanwhile at SVA, I took a Postcolonial Africa class for the reputable professor. Indeed she showed a well-versed knowledge of the subject. She mostly sat and talked to us conversationally through different African countries' conflicts and timelines. Though we did not cover the topic of slavery, toward the end of class one day I asked this African American professor about her opinion on reparations. She immediately batted her hand and with a sour face, responded with something like, "People should let that go already." 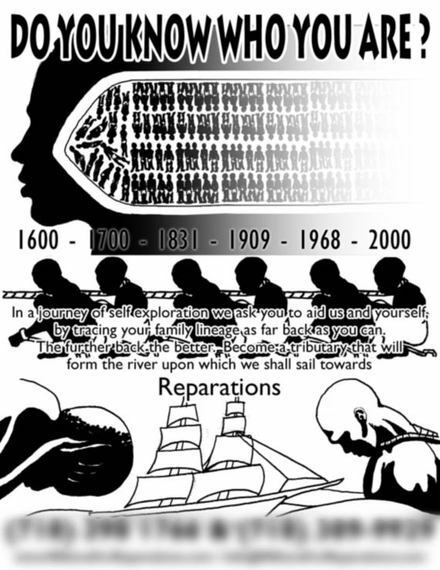 While anyone can come up with logical reasons for or against reparations, what Mentalnomics sparked for me was considering how the psychological effects linger to this day. 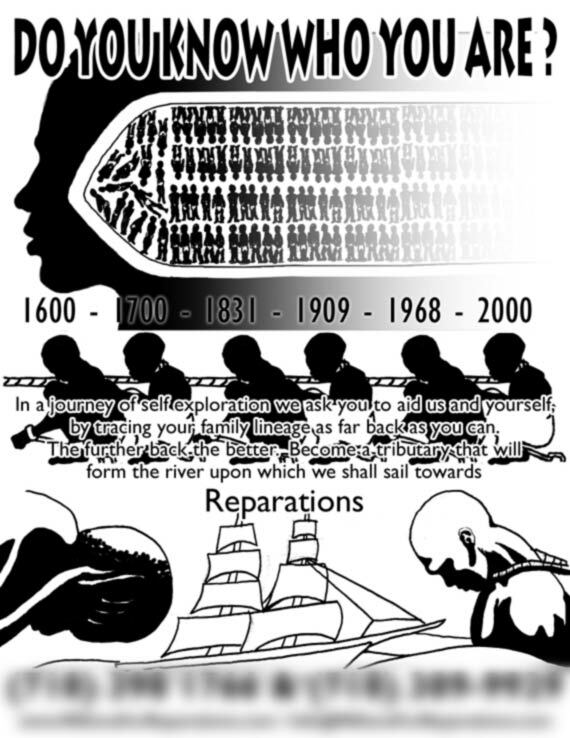 Could reparations change that? Can it make a difference for the people whose forefathers built the Capitol Building? Whereas I did not think much of it before, I believe if approached in a way as Reparations Now proposed, through education benefits for example, then yes I would gladly contribute my tax dollars to it. 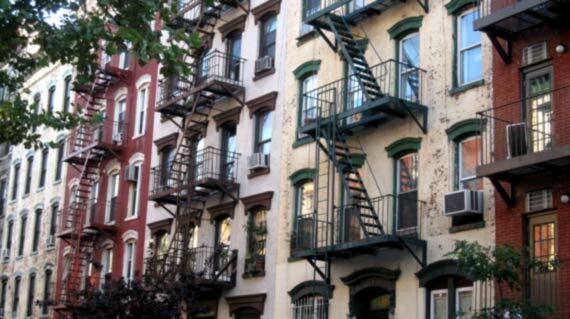 Though mostly by circumstance, my understanding of society's spectrum was stretched by being the minority in the carved out Black American demographic of Harlem. By listening to their stories and glimpsing their various histories as a people, not only did it make a case for reparations I can get behind, but also informed me how little I know what it is like to carry that history with me.